Submitted by ken on June 14, 2007 - 10:12pm. 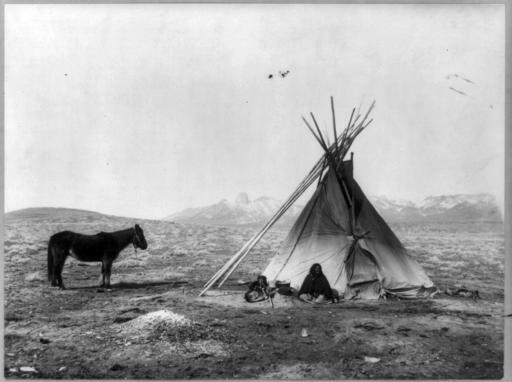 A Ute Indian woman seated in front of a tepee with two dogs and a pony. Photo by William J. Carpenter, c. 1915.